01 October 2018, Rosa Khutor, Russian Federation:The 70th meeting of the Standing Committee to the Convention on International Trade in Endangered Species of wild fauna and flora (CITES) got off to a disappointing start with a decision that China, Kenya, Philippines, Thailand, Tanzania and Uganda be released from a process whereby they must report on steps taken to address their roles in illegal ivory trade. 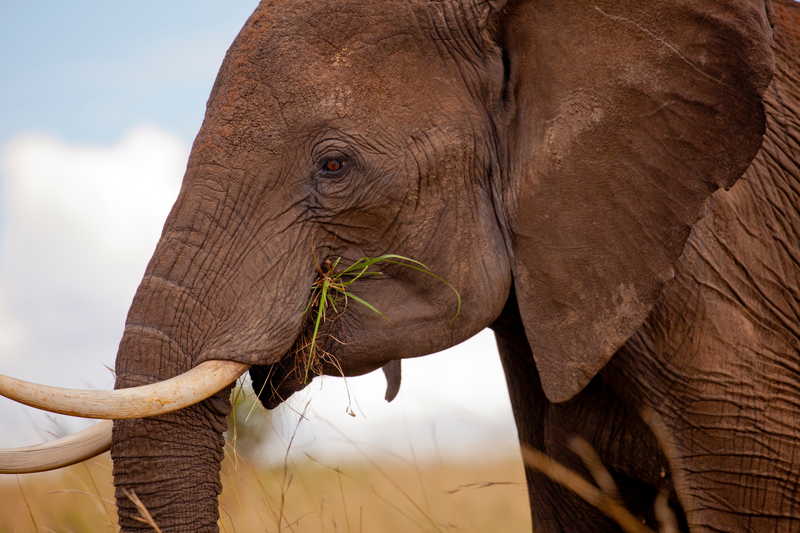 These six countries are among a number that have been required by CITES to develop National Ivory Action Plans (NIAPs) and to report on their implementation of those plans. The Committee granted exit to these countries on the basis of their favourable submissions made by the countries themselves, without the need for an adequate independent verification mechanism. This deals a serious blow to international efforts to halt the illegal ivory trade which is estimated to kill about 20,000 elephants a year. This decision was reached despite the submission to the Committee of a comprehensive report by the Environmental Investigation Agency to the Committee on the implementation of NIAPs in selected countries, including all of those listed above with the exception of the Philippines. The report outlined shortcomings in all cases. For example, Kenya and Tanzania are still major exit points for illegal ivory leaving Africa, while China's recent domestic ivory trade ban has yet to yield sufficient results on the ground to reassure observers that they are adequately addressing their role as the largest consumer market, a point reinforced by two reports released last week by TRAFFIC. "The NIAP process has been undermined by over-reliance on reporting by the implicated countries, who have an obvious interest in downplaying any areas where progress is not being made,"says Colman O Criodain, WWF Wildlife Practice Policy Manager..
"Having been hailed as a game changer in pressuring countries to address their role in illegal ivory trade, it has now become a mere box-ticking exercise. In the meantime, the reports presented to the Committee show that there is no discernible improvement in trends regarding poaching and illegal trade. Far from it, countries are effectively suppressing information on illegal trade by not reporting ivory seizures to TRAFFIC, as required by CITES,” he adds. The Committee will go on to consider other issues this week relating to illegal trade in other species, including rhinos, tigers, marine turtles, parrots and precious timbers. However today's decision does not bode well for the outcomes on these species. African elephant (Loxodonta africana) in the Masai Mara reserve, Kenya.